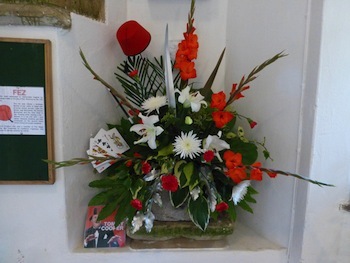 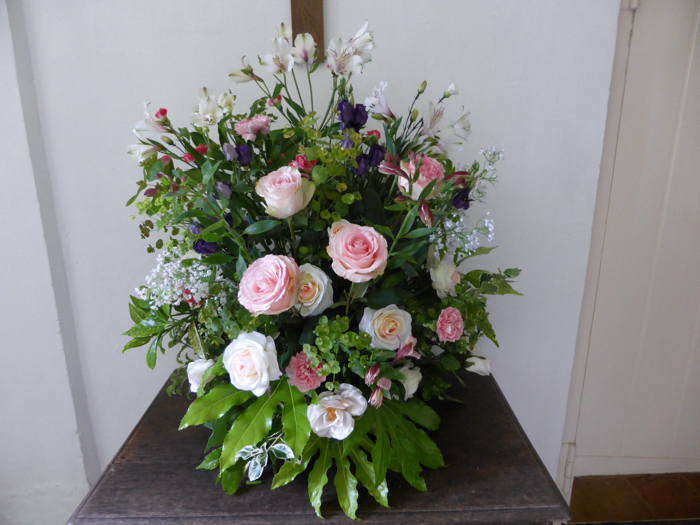 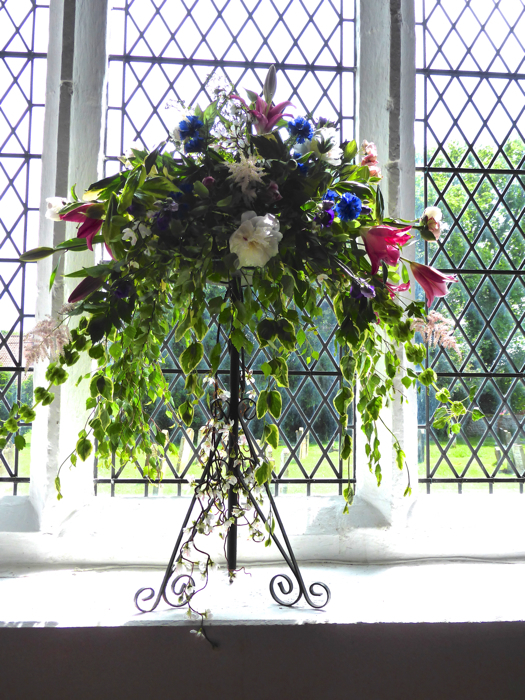 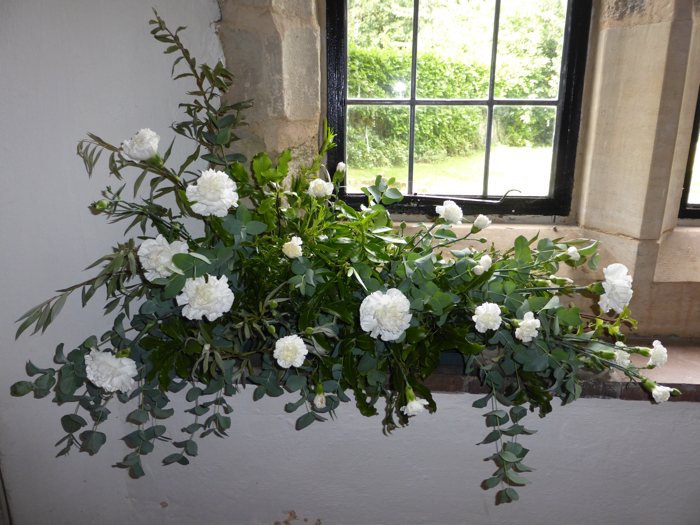 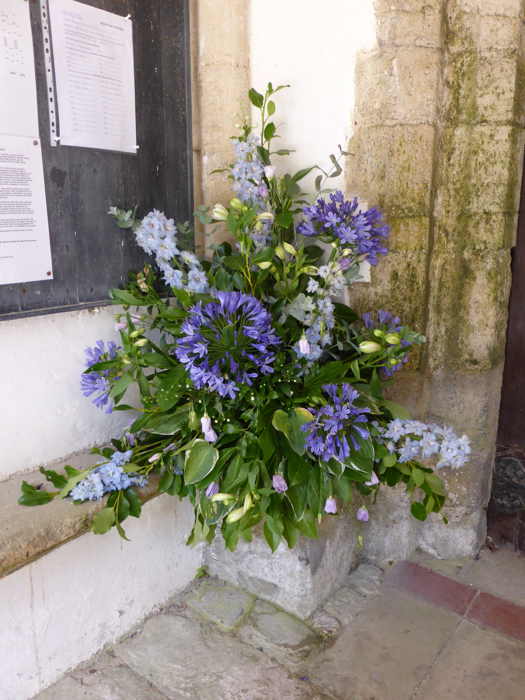 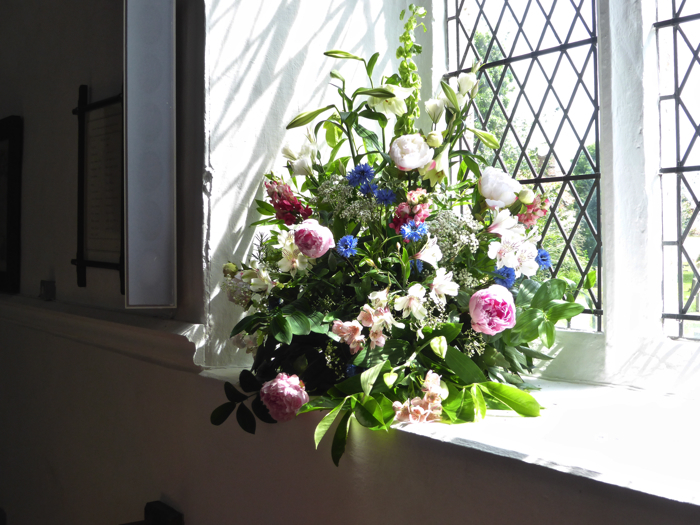 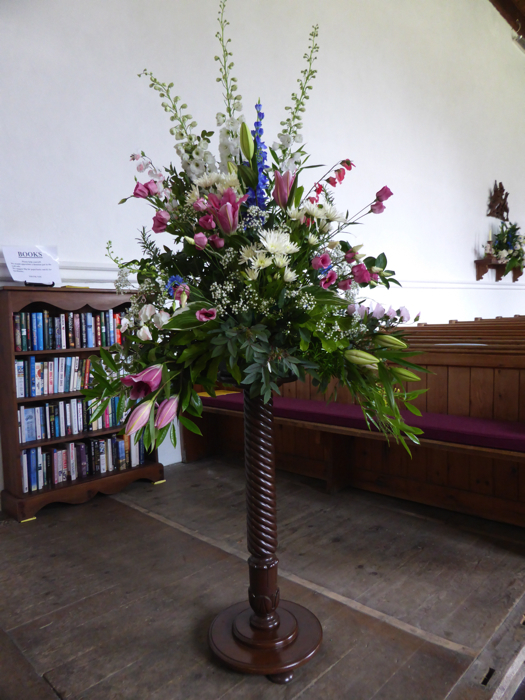 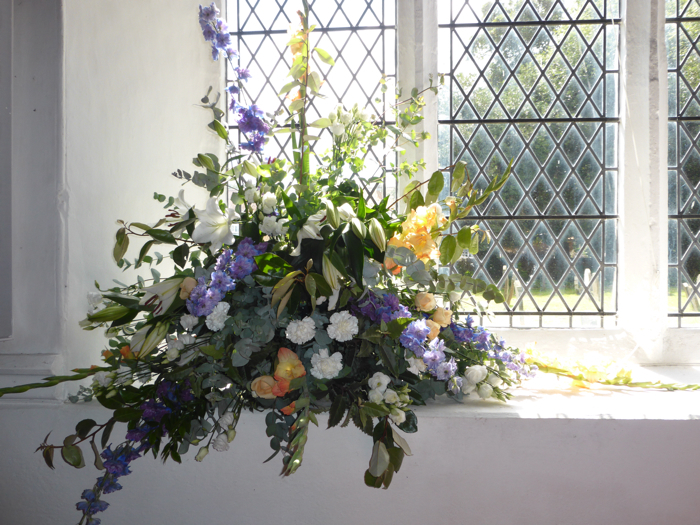 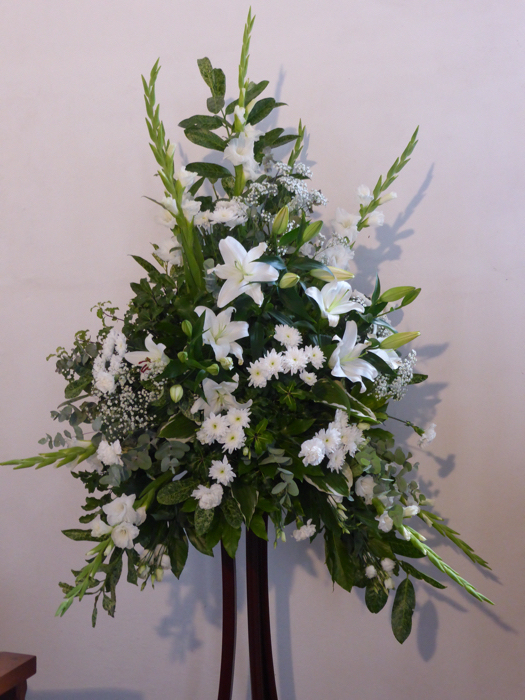 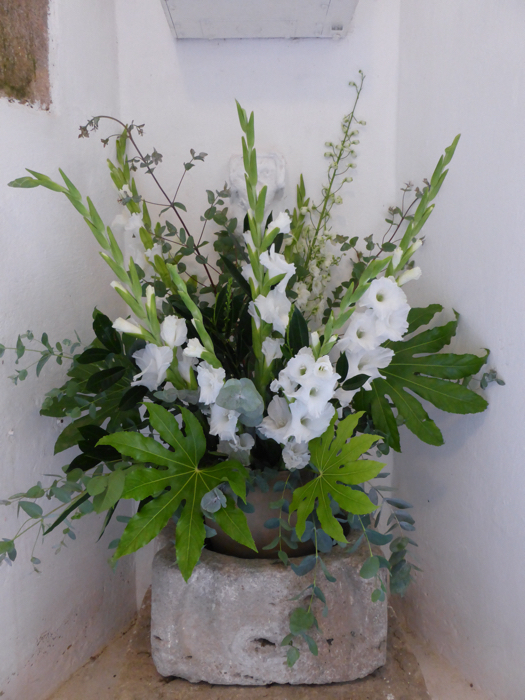 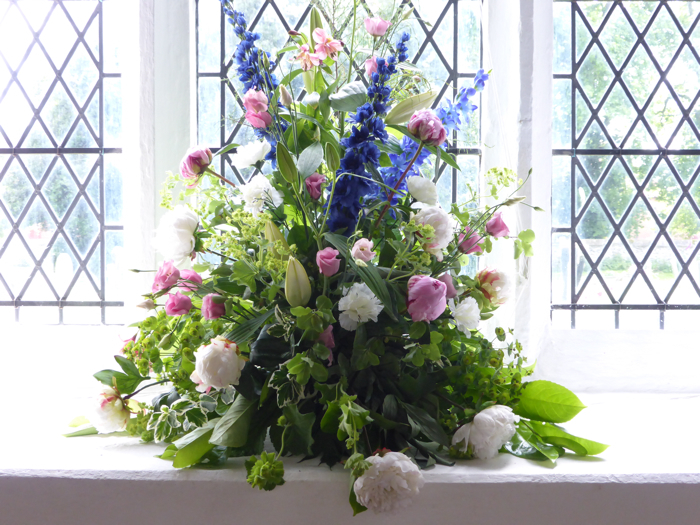 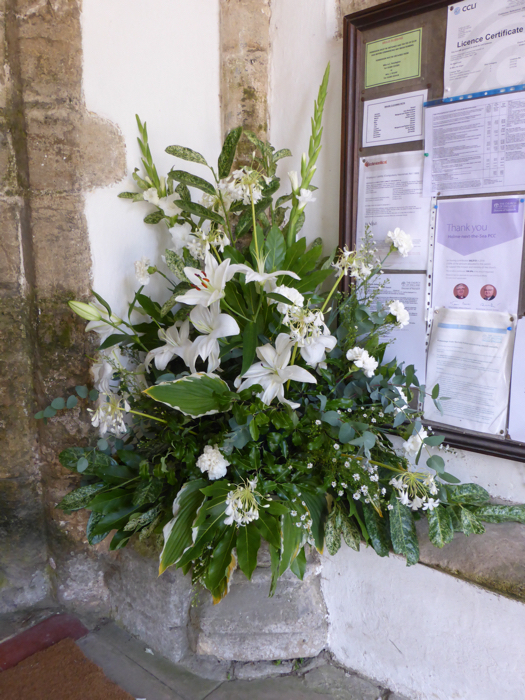 Throughout the year a group of flower arrangers from the village provide an ever changing vista of floral displays in the Church. 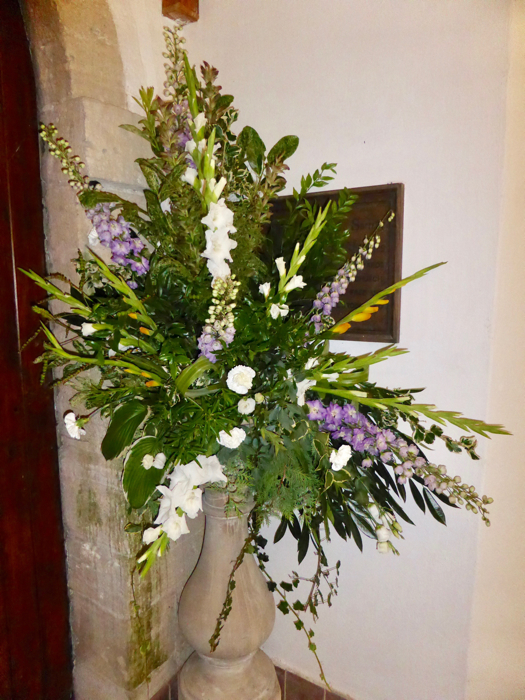 On special occasions such as Easter, Christmas, Harvest Festival and the annual Open Gardens day lots of work goes into making these floral arrangements extra special. 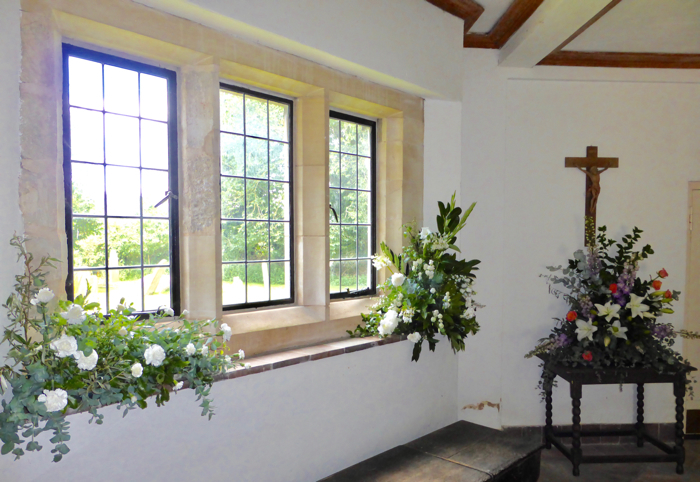 The four displays shown on this page were featured during the village's Open Gardens Day in 2013. 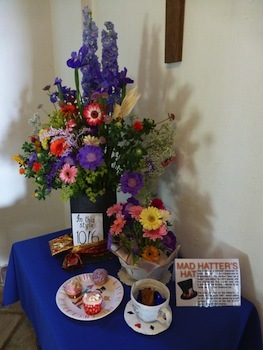 The theme for that year was 'Hats Galore!'. 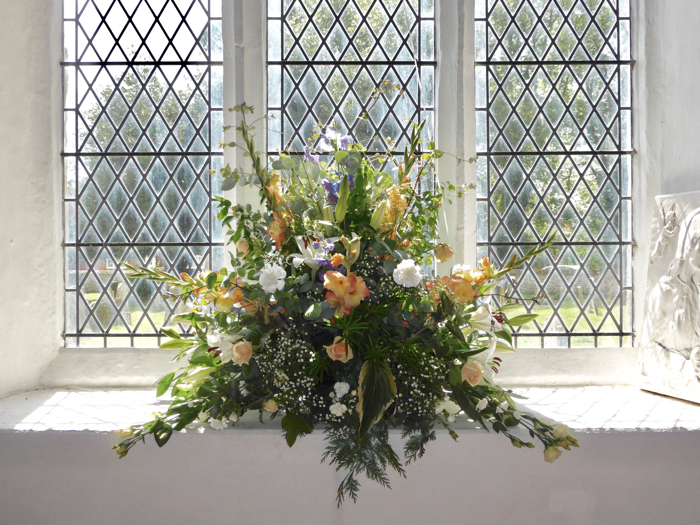 If you would like to be part of the team and help to keep our church looking beautiful with flowers please call Shirley on 01485 525218 (Oasis is always provided). 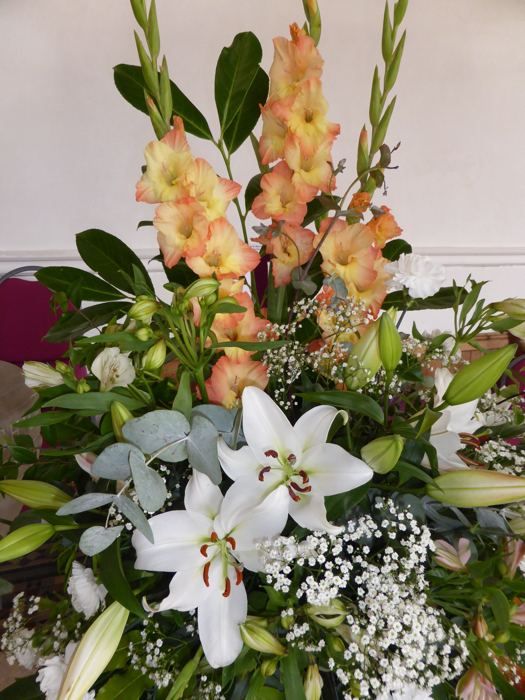 If you are keen, but haven't had a go at arranging before, please do get in touch - there are always people around who can help you to start. 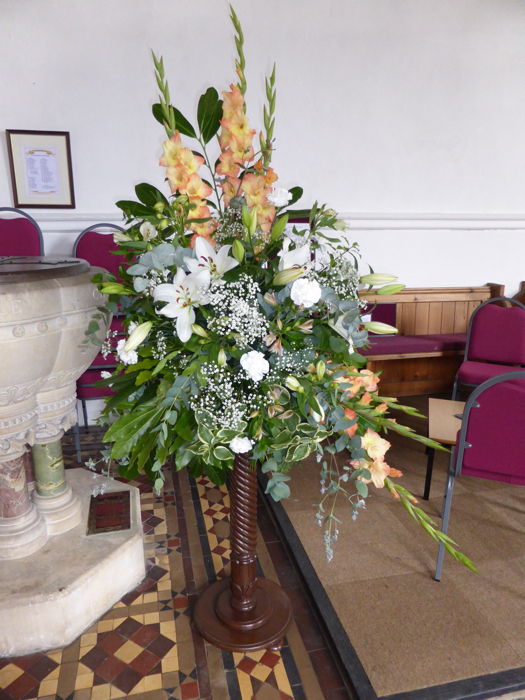 To view slideshows of some of the other displays just click on the occasion you would like to view. 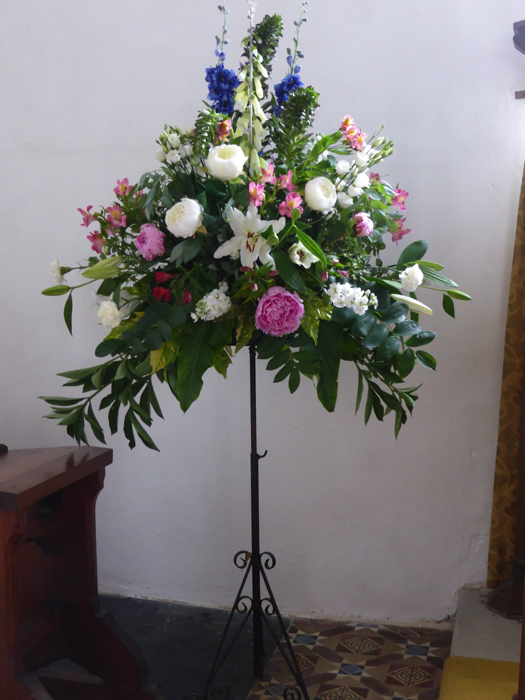 There are usually arrangements of flowers, provided by ladies from the village, in the Church throughout the year except during Lent and Advent. 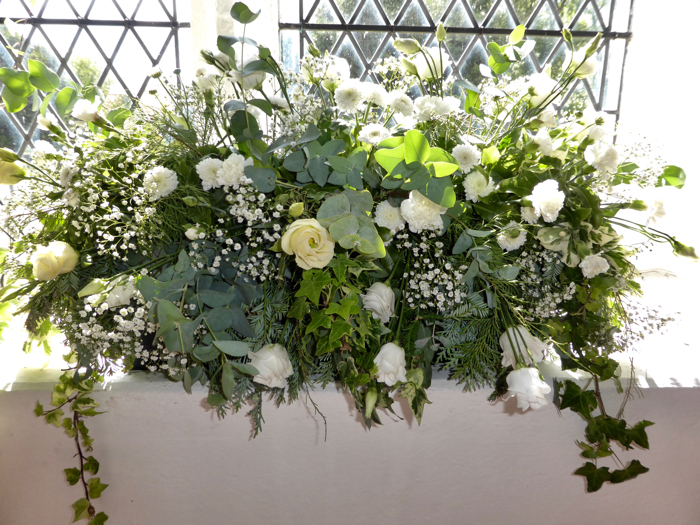 For occasions such as weddings, christenings or funerals, the ladies who provide the usual arrangements can offer a more bespoke service. 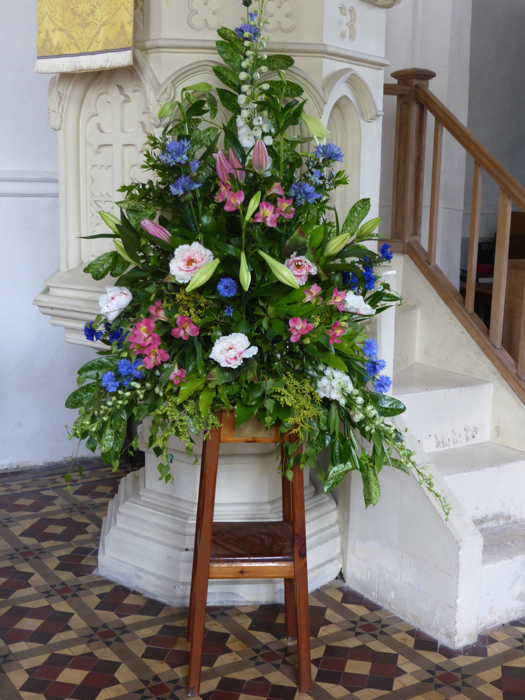 Special colours and displays can be discussed. 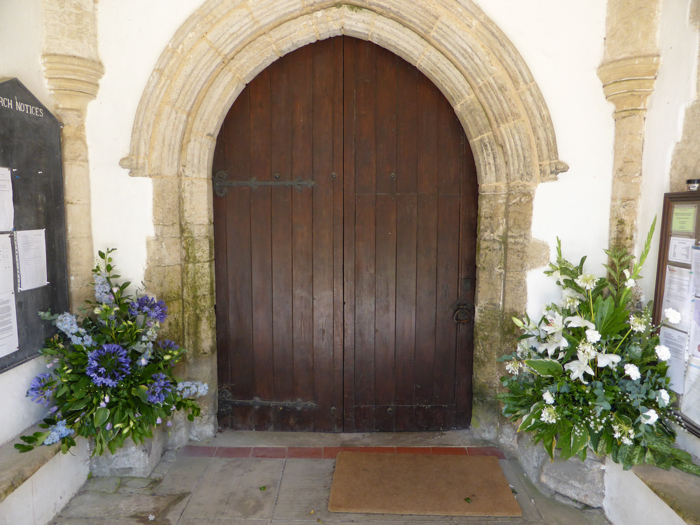 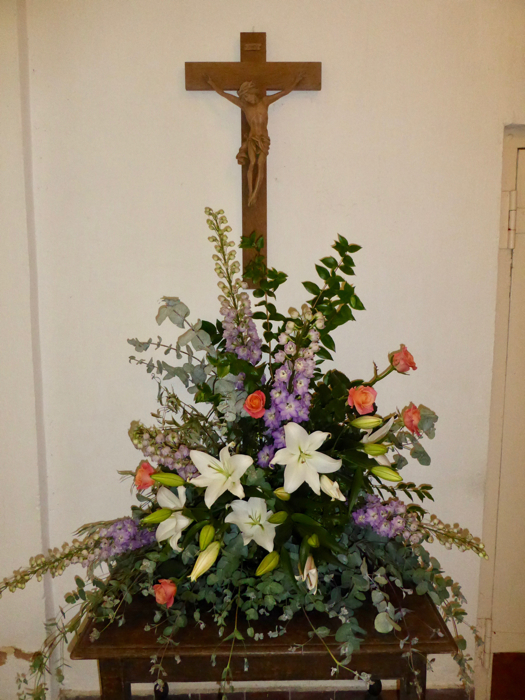 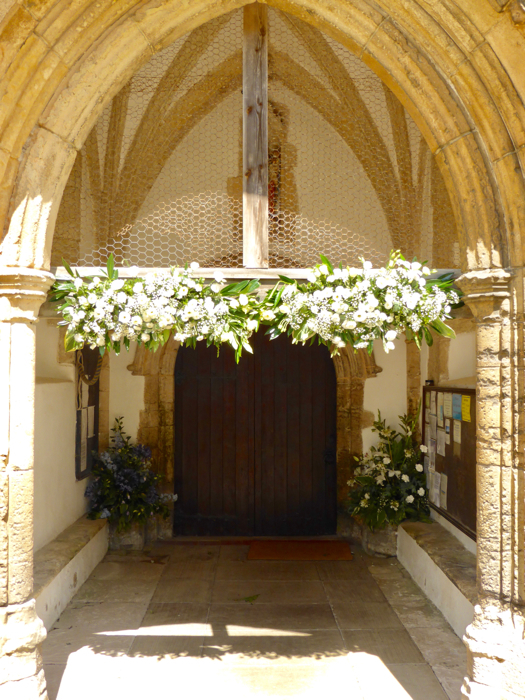 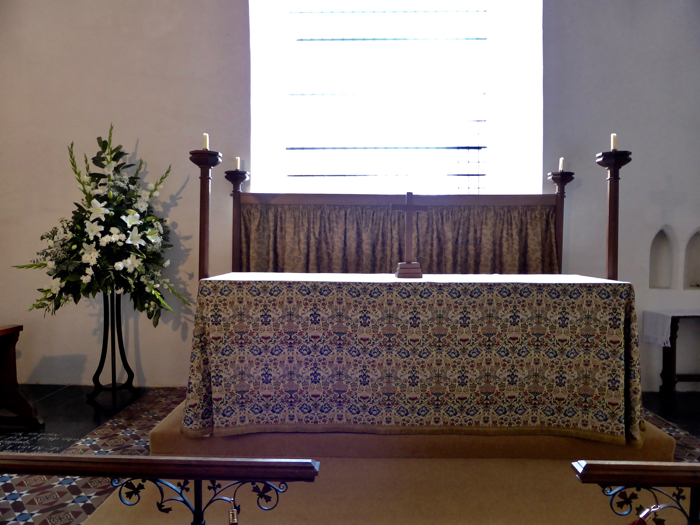 The cost can include the purchase price of the flowers, Oasis and an arrangement fee (starting from about £50) which goes towards the flowers used to help make our Church look beautiful at Easter, Christmas and other important dates in the Church calendar. 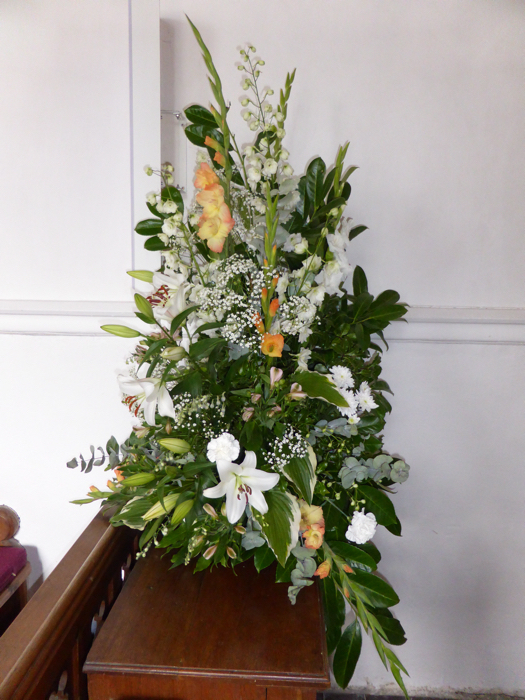 Alternatively, flowers can be supplied for the ladies to arrange. 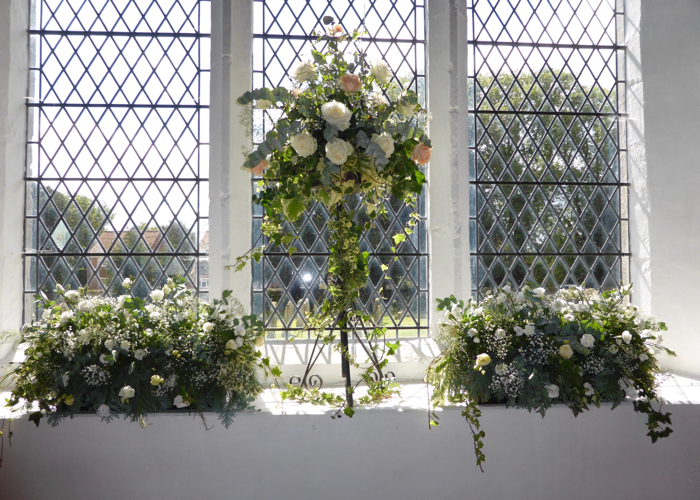 Here you can browse through the flower displays that were arranged by the village team of flower ladies for a wedding in August, 2017. 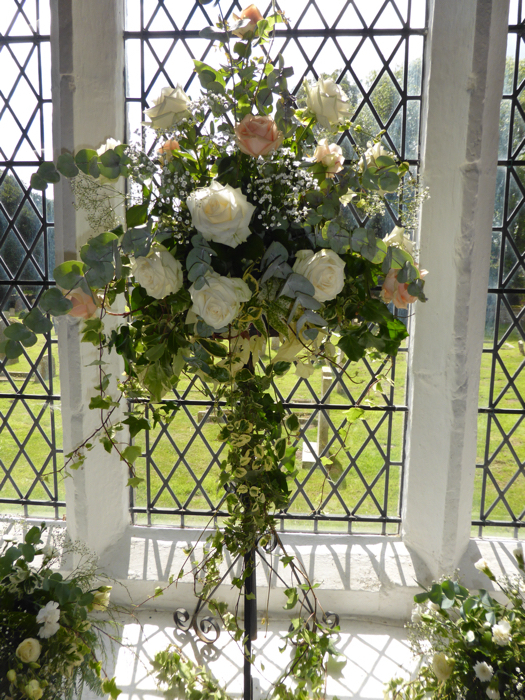 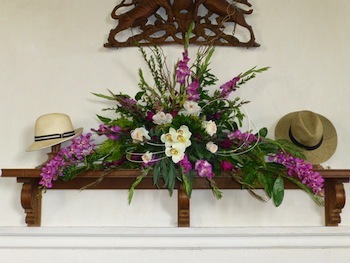 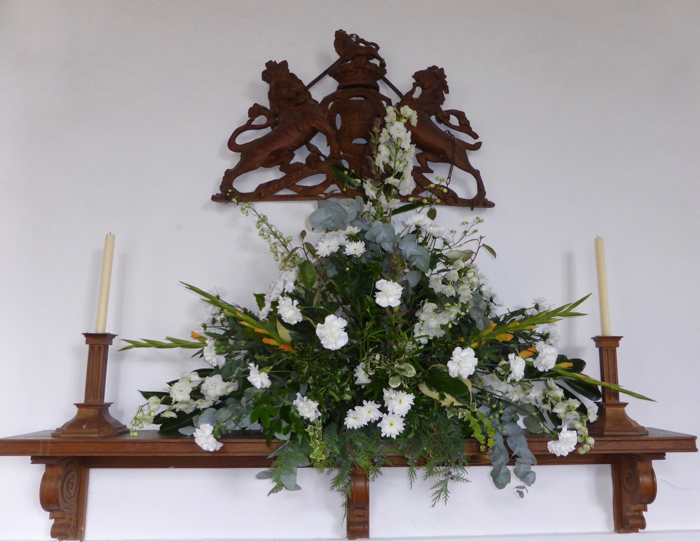 ...and here are the wedding flower displays that were arranged by the local flower ladies for a wedding in June, 2014. 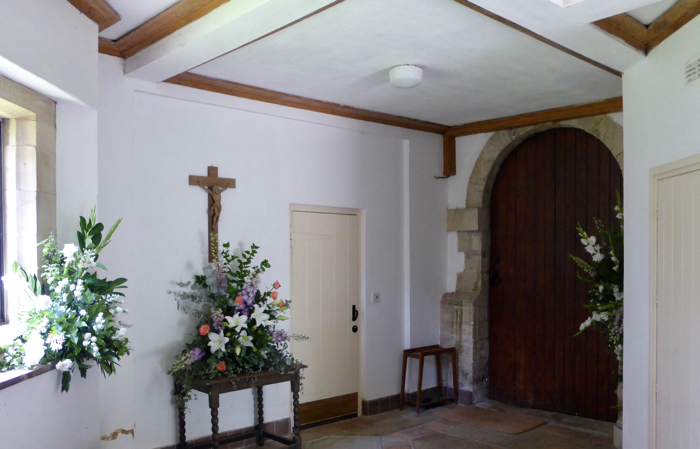 Click any photo to enlarge it and use your keyboard arrows to move backwards and forwards through the pictures. 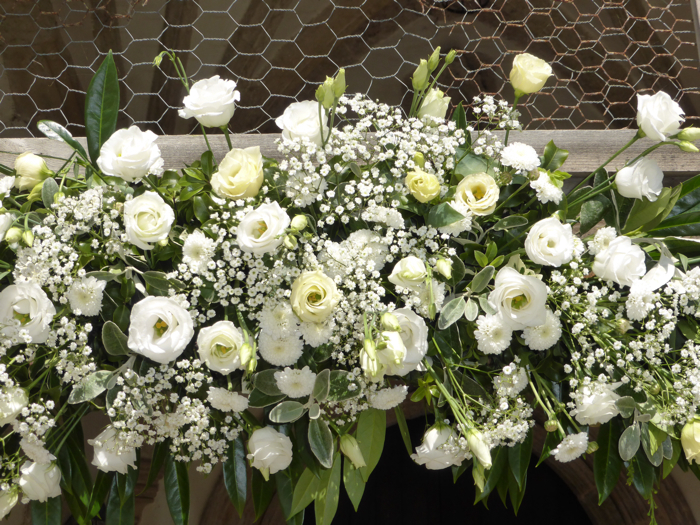 To discuss requirements, or for further information, please contact Shirley on 01485 525218 - early booking well before the event is strongly advised.